That's a title I never want to use, but have no choice now. Israel is keeping up its blistering offensive against Lebanon after Hezbollah leader Hassan Nasrallah declared open war in a conflict that appears to be spiralling dangerously out of control despite international calls for restraint. 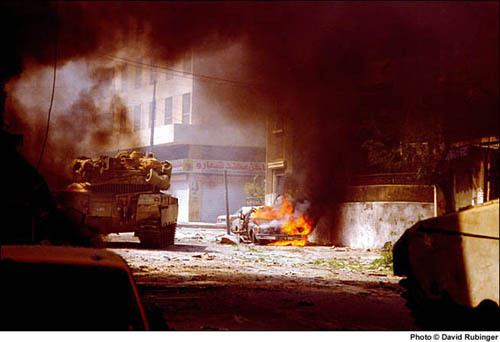 Combat jets bombarded Lebanon in a series of dawn raids, slamming missiles into bridges and petrol stations and killing four people on the fourth day of fighting that has so far claimed the lives of around 90 people on both sides. Emerging unscathed after Israeli air strikes late Friday on his home and office in Hezbollah's southern suburbs, Nasrallah warned: "You wanted an open war, you will get an open war." Mutually Assured Destruction In Middle East? Embrionic Stem Cell Research. Shrubs First Veto?